There's a few. And to be clear, I dont hate it as a design, I just hate it as our playing jersey. I think it lacks professionalism and is too 'childish' for a top flight sports team. 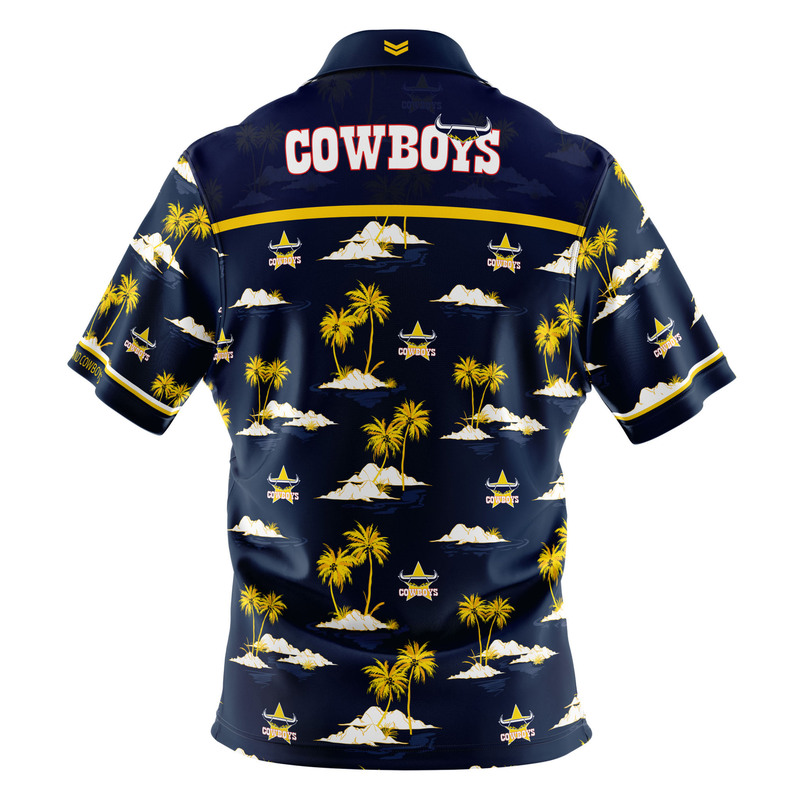 A teams colours and strip should be as sacred as their name - to me its up there with if we changed the name 'cowboys' every few years. I love the special rounds and different designs as one-offs throughout the season - we've had some crackers.... but professional teams should have a solid and proud identity. If they had a "Junior Rugby League" round, this jersey would have been fantastic, I think it gives of a very "kids" vibe... and I very likely would have bought one too. Is it just me or would anyone else like to see the Hawaiian version as a playing strip? It is unequivocally, explicitly, definitively and categorically, just you my friend. I'd love to see us go back to the 2014/2015 strip - best jersey ever made, it had everything and was professional, plus it's bloody iconic now. What we went to in 2016/2017 was terrible. Only if they bring in a Beach Round where the field is entirely covered in sand. There would probably be a few drownings occasionally too! It's all very exciting to think about. Pfft, its not like they wouldnt play with compulsory mouthguard-snorkels in this day and age - we do want mums to let their kids play after all. Just have it a foot deep in the ingoals for sweet diving try’s, but the slope away to the sideline for some great tackles into the water. Nah, they’re pretty fit. Stick em in a kayak. Not much going on during the off season eh. Well, there was a pretty great Beach Round discussion you JUST missed. It has quietened down a little though. I got it, riveting stuff MOM. Sometimes I feel that people don't take my ideas seriously. I think that was the most serious you’ve ever been taken. I still think Beach Round is a great idea.